Vintage Langley Advance: Oh, how Christmas has changed! The Langley Advance started a couple of years into the Great Depression and a look back shows how Christmas was recorded for posterity. A hunt through back editions shows there were few Christmas articles in the 1930s papers and during the 1940s â€“ generally only items about Christmas events by the Womenâ€™s Institute or a sports club. 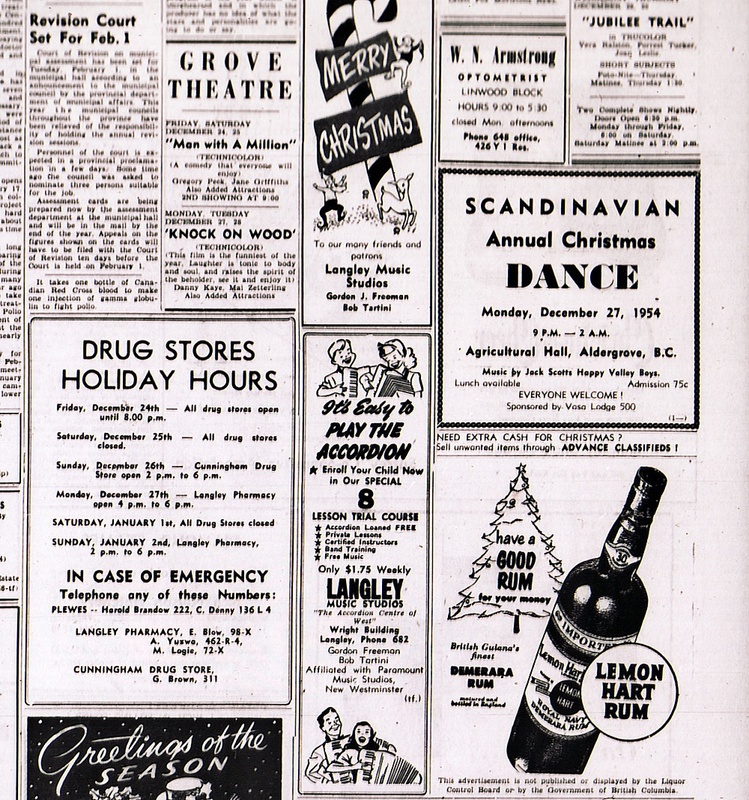 By the 1950s, there were lots of local merchants working together on promotional campaigns but still few Christmas-related articles. Some recipes started to turn up in holiday editions so we present some from years gone by as well as a some Christmas ads.